Believe it or not, your feet are the most sensitive part of your body. They are most prone to fungal infections and bacterial attacks, especially during the monsoon seasons. Further, going by the experts’ say, the area lying between the toes is the most vulnerable for infections of sorts. So, while you enjoy a refreshing break from the unbearable heat with the onset of monsoon, it is time that you note down some precautionary measures to protect your feet. If your profession demands more of field job, always carry an extra pair of socks to replace the wet one. It is extremely important to keep your feet dry and airy, therefore, an extra pair of socks will prevent your feet from getting moist and incurring unwanted fungal infections of sorts. Next, when you reach back home, make it a point to first remove your socks and shoes and slip into a light and airy pair of slippers. This is an important feet care measure to keep in mind while reeling under the monsoon weather. Most of us end up picking up shoes that at the end of the day give us shoe bites. Refrain from picking shoes that are tight and compact. So, the first rule is to pick those shoes that fit you well. Tight shoes are prone to cause blisters and itch as they leave no space for the feet to breathe. Foul smell and foot diseases of sorts are other possible outcomes of wearing wrong shoes. On the other hand, loose shoes are not only uncomfortable but also leave a lot of room for water to pour in during the monsoon. As the experts say, further to the right fitting shoes, it is important to pick that footwear that have porous surface. This is one of the most important feet care measures to keep in mind during monsoon. 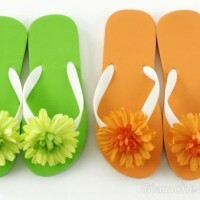 There are a variety of monsoon footwear available in the market to chose from. Do not repeat the same pair of shoes for more than a day, especially during the monsoon. It is the right feet care method to keep changing your shoes so as to allow them to rest and dry. In fact, flip flops work the best at home. They let your precious feet breathe and keep them free from perspiration for long. Other shoes options that work great for you during the monsoon season are sandals and slippers as they let your feet breathe during monsoon. Both tight and loose socks are bad choices for your feet. Tight socks or tight stockings are prone to cause blisters and rashes, nevertheless the season. Further, tight elastics may hamper the blood circulation and cause clots. The right fitting cotton socks are good choice for monsoon as they keep the feet well protected from dust and moisture. Besides the right fit, it is important to change the socks once or twice in a day. This step is most important towards the feet care measures for well nourished and beautiful feet during the monsoon season. Washing, cleansing and moisturizing your feet is the basic feet care regime to follow every day, after work, nevertheless the season. To add on to the nourishment, a little massage would do good for both your feet and mind. Remember to keep your toe-nails trimmed lest you hurt yourself. Always dry your feet when moist. Pedicure at home is a good option to keep your feet well nourished. This wouldn’t take much of your time and energy as most of the ingredients for the same are available at home. All you need is a tub of lukewarm water, liquid hand wash and lemon juice. Scrub the feet well with a hand scrubber and remove the dead skin. Switch to sandals and open slippers in the monsoon season as closed shoes retain the water for long and invite fungal attack. Usage of antifungal cream and powder at day and night will curb the chances of incurring infections of sorts. Always keep your toe nails short so that dirt cannot enter the nails. One of the most important feet care means is to treat this part of the body at par with the rest. Use varied nourishing methods for your precious feet just as you use for the rest of your body parts.